A Midlands interloper on the Western Region. 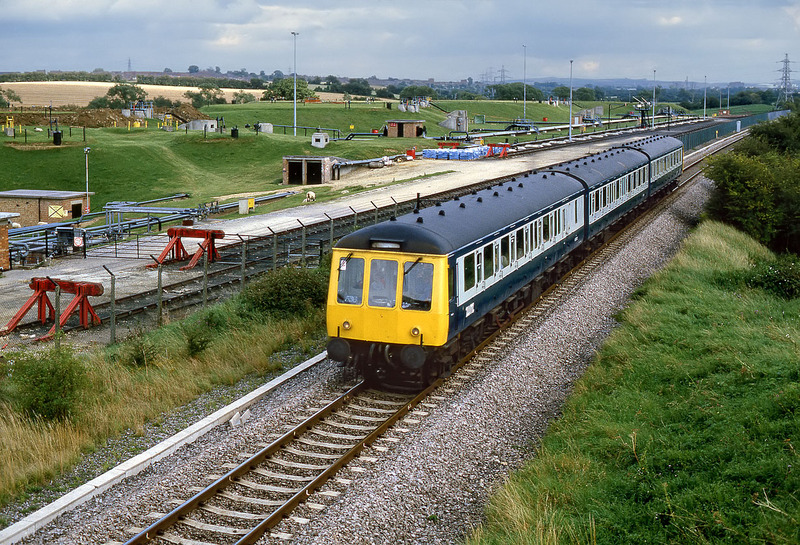 53883 leads the 15:28 Swindon to Worcester Shrub Hill past Bremell Sidings, on the outskirts of Swindon on 1 September 1985. Note the 'West Midlands' logo on the side of the unit under the first window. It seems that the neatly mown grass covering the oil storage tanks in the background is largely down to sheep, rather than workmen with mowers. Careful inspection of the original 35mm Fujichrome slide reveals a number of the woolly creatures at work.